Water Tank Cleaning is an important part of Water Hygiene. Neglected water tanks can be the perfect breeding ground for harmful bacteria including Legionella, E coli and TVC which can be present in water tanks for numerous reasons. 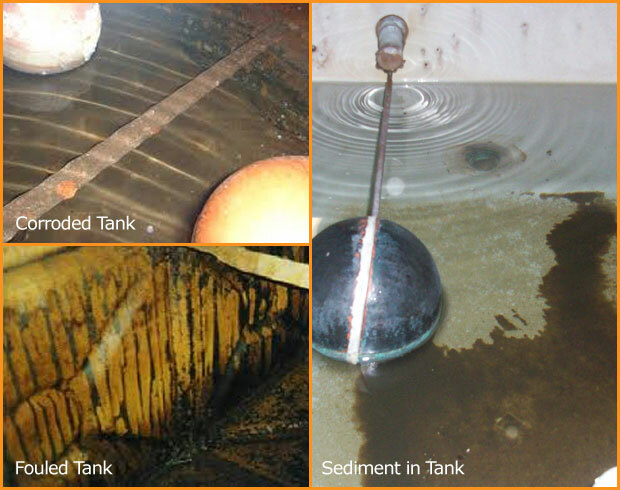 Water tank cleaning is an important part of water hygiene. Neglected water tanks can be the perfect breeding ground for harmful bacteria including Legionella, E coli and TVC which can be present in water tanks for numerous reasons. To prevent or control these risks, precautions should be taken by keeping the system and water in it clean. Water Tank Cleaning - When? 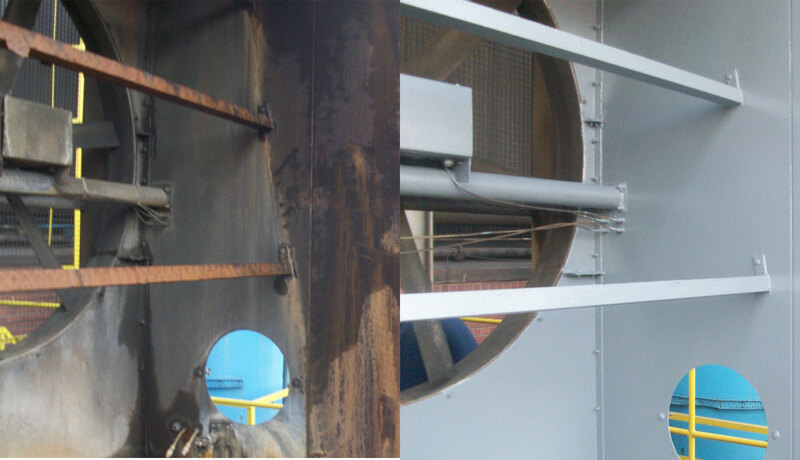 Hot and cold water storage tanks should be visually checked and any remedial work carried out where necessary, annually in accordance with ACoP L8. Disinfection of the water services will be done by the use of suitable chemical disinfectants eg. by chlorination. Before chemical disinfection is carried out it is essential that the system is clean including all parts, not just those which are readily accessible. 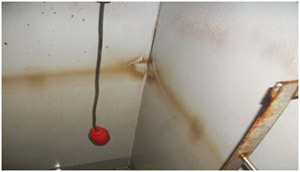 Water Tank Cleaning - Why? Water Tank Cleaning - How? Chemical disinfection is carried out by chlorinating the water in the cold water storage tank to 20 - 50mg/litre free residual chlorine. It is then allowed to flow to all parts of the system and leaving to stand for an appropriate period, whilst monitoring the chlorine concentration throughout disinfection to ensure that there is a sufficient residual chlorine level. The system is then thoroughly flushed following chlorination. 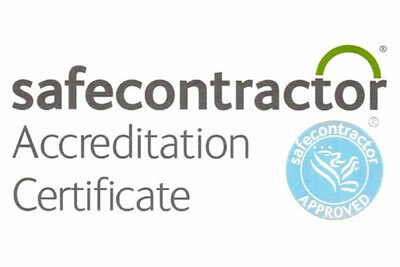 Cleaning and chlorination is carried out by fully trained staff in accordance with ACoP L8, following the procedures set out by BS8558. Water tank chlorination and cleaning is a crucial part of water hygiene that should be given upmost priority. 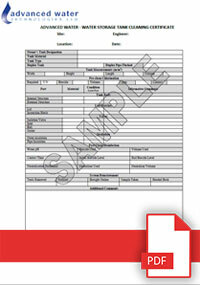 Advanced Water Technologies can carry out this service to the highest standards within the industry. From the largest break tank to the smallest domestic type tanks, the attention to detail should remain the same. Over time water storage tanks naturally gather contaminants that ultimately affect the water quality. These contaminants can harbour bacteria such as E. coli and Legionella. Advanced Water Technologies are experts at chlorination and tank cleaning thus leaving you with a clean bacteria free system. Full certification is provided upon completion of the works and a full detailed report with photographic evidence will also be produced. Chemical disinfection is carried out by chlorinating the water in the cold water storage tank to 20 - 50mg/litre free residual chlorine. It is then allowed to flow to all parts of the system and leaving to stand for an appropriate period, whilst monitoring the chlorine concentration throughout disinfection to ensure that there is a sufficient residual chlorine level. 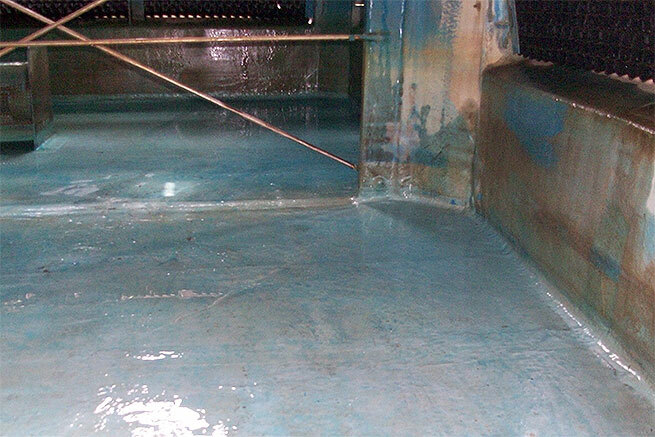 The system is then thoroughly flushed following chlorination.